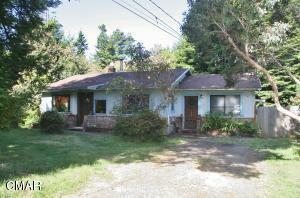 Nice country property with mature trees and plants. Older home with lots of redwood structural components. Includes 32X36 shop/garage on cement slab. Garden area and greenhouse. This home is in a great location. Large room and bath with separate entrance. Perimeter fencing.